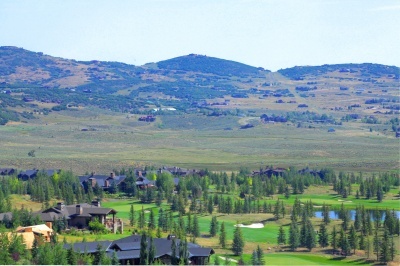 Glenwild is a gated private golf community in Park City, Utah. Glenwild features luxury single family homes and homesites ranging in size from 1 to 7 acres. Some Glenwild homes have views oriented towards the Tim Fazio Glenwild golf course, and some Glenwild homes have views of all three Park City ski areas. The Glenwild Golf Course was recognized as "Utah's Best" by Golf Digest. Glenwild amenities include a year-round swimming facility, a fitness center, fine dining at the Glenwild clubhouse and an extensive trail system. Glenwild is conveniently located close to the Kimball Junction commercial area with easy access to I-80 only 30 minutes to the Salt Lake International Airport. Glenwild is a popular neighborhood for primary residences, as well as vacation home and investment property owners. Glenwild lies within the Park City School District. Quickly & easily gather all the info you need about Glenwild. Our Glenwild Real Estate Concierge is at your service! Call toll free 1-800-485-0218 or use our Live Chat for instant answers to your Glenwild real estate questions.